There are many divorce cases where only one spouse is employed and there are no significant liquid assets or those assets are all under the control of the employed spouse. In such cases, the financially dependent spouse can seek an award of pendente lite support. “Pendente lite” is Latin for “pending the litigation”. It means temporary support until the divorce trial. Pendente lite support hearings are short and the only issues considered are need for support and ability to pay. Some jurisdictions have established guidelines for pendente lite spousal support. When child support is also payable – monthly spousal support equals 28% of the payor’s monthly gross income minus 58% of the payee’s monthly gross income. Child support is generally determined under the child support guidelines. Those guidelines are also used to determine child support pendente lite. 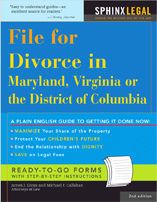 Virginia Courts can also enter pendente lite orders on maintaining health insurance coverage for a spouse or children, responsibility for debt payments during the case, exclusive use and possession of the family residence during the case, payment of attorney’s fees and other costs of the suit, and custody of the children pendente lite . However, most courts are reluctant to rule on custody pendente lite. This is because custody matters have scheduling priority and will soon be heard as a final matter so pendente lite relief is not necessary unless there is an emergency. And the judges do not like emergencies, so if you claim you have an emergency it better be a real emergency. The Court’s ruling on any issue at a hearing on pendente lite relief can be reviewed and modified at the final hearing.